Flax leaf stomata. 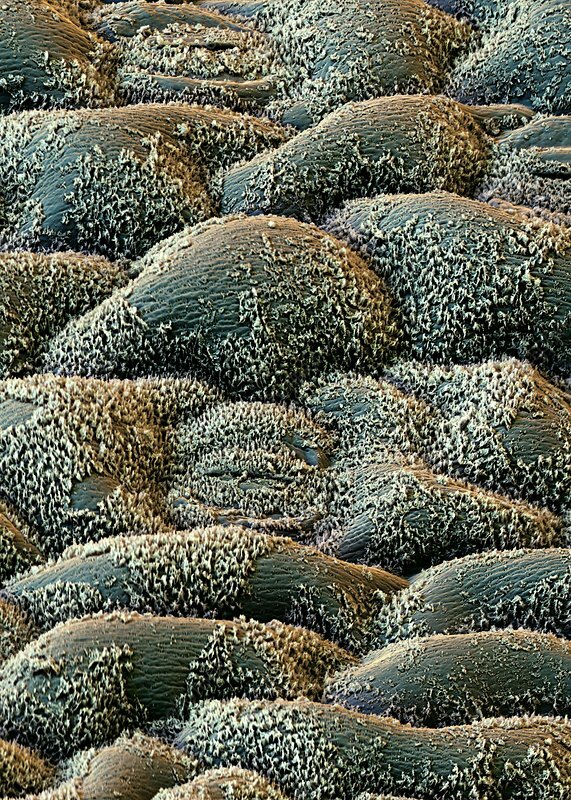 Coloured scanning electron micrograph (SEM) of an epidermal surface from a leaf of the flax or linseed plant (Linum usitatissimum). This view includes stomata (narrow openings), the gas exchange pores found in the epidermis of plant leaves and stems.